A special San Luis Obispo City Council meeting on Feb. 16 revealed such a serious rift between the city’s voters and its administration that professional mediators were hired to preside. The city originally had a commission system of government: electing heads of city departments who then formed the city council. If the police department wasn’t operating up to snuff, the voters could and would elect a new police commissioner. In the 1950s the city charter was repealed and replaced with the “mayor-council-city manager” form of government that had been developed by “progressive republicans” throughout California. The theory was that unelected professional managers would be hired by a city council and run the day to day operations of the city. More importantly, the manager would sift information to provide the elected mayor and council with only “accurate” information on which to make their decisions. The manager and staff, instead of the elected council members, proposed and drafted the policies and ordinances to be voted on. Whatever reforms this may have effected, the danger of disconnecting the people from their city government is inherent in the mayor-council-city manager structure. Of representative government, only the shadow of it remains. The Feb. 16 special meeting of the San Luis City Council at the Vet’s Hall was initially one of the best attended in years. Billed as a workshop about the “Rental Inspection Ordinance,” it was presided over by a professional facilitator and a prominent mediator. Within 30 minutes some of the 300 people in attendance were leaving in disgust after the facilitator had run folk through exercises asking those who were parents or grandparents to stand. Part of this drill included asking folks who’d lived in SLO successively for over 10, 20, 30, 40 and 50 years to stand. After pointing out how much everyone had in common, the facilitator asked folks to write down three things that could keep us from (meaningless talking point alert) arriving at solutions through collaboration. Everyone had been assigned a different colored name tag and instructed to sit in circles under a balloon matching the name tag’s color. Professional mediators had been seeded in each of the circles. The city council sat off in one corner of the room, and in the other corner sat the city attorney, development director and a group of city staff. Citizens near where I was standing were loudly grumbling to each other about being treated like kindergarteners. By the time the facilitator called on the second colored circle to find out what could keep us from arriving at “collaborative solutions,” the representative of that group stood up and asked when we were going to do something useful. I confess that the spirit moved me to ask from the back of the room if those who wanted the rental inspection ordinance repealed would stand. The response was immediate. The whole room stood and erupted demanding repeal. The facilitator and mediators went back to work trying to rebuild the relationship between the people and their city government. By the second hour fully half of those who had come to ask the council to repeal the invasive inspection ordinance had left. Earlier in the day, 7,111 signatures had been turned in on an initiative petition seeking repeal and replacement of the ordinance with a non-discrimination in housing law. I’m not sure that the professional staff got the message. The professional mediators had not repaired the broken relationship between the city staff and the residents angry about the yearlong “experiment” invading home and charging landlords (and through them tenants) for the cost of those invasions. It is inescapable. When a city spends tax payer money bring mediators to try to repair relations between the city and its residents, it is already too late. San Luis Obispo voters are ready to divorce the system that saddles them with unelected managers, city attorneys and department heads. It is time to consider amending the San Luis city charter to make the manager, the city attorney, and key department heads independently elected and accountable to the people they serve. If the council doesn’t recognize this, the voters have the power to propose it by popular initiative petition. Stew Jenkins is a liberal San Luis Obispo County Democrat who supports the rights of working people to organize unions, the prudence of the cities and county growing the local economy through project labor agreements, the right of all people to health care and equal dignity. 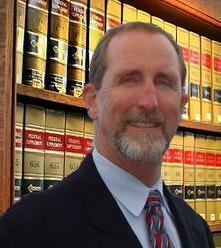 He is an attorney practicing in San Luis Obispo since 1978. Jenkins’ handles tax payer suits, municipal law, estate planning and family law. Does California want single-payer healthcare? Oh my, that is an oldie. Fun. It would never have even gotten to this point without the initiative drive that Stewart Jenkins and Kevin Rice began, and a lawsuit funded by the SLO Property and Business Owners on behalf of landlords and tenants, both demanding the ordinance be repealed. The Community owes both groups a huge debt of thanks. As noted, the city manager form of government was instituted to de-politicize municipal governments. Instead it has devolved into a top-down management with no input from the elected representatives. I agree, it is time to change this system and bring back representative government. Who knows, we might actually get some things done! I am merely a supporter. The Initiative’s legal proponents are Stew Jenkins, Dan Carpenter, and Daniel Knight. Many thanks to these three. Here’s an idea, why don’t we hire Andrew Carter to replace Lichtig? He’d do a better job at half the price! Better yet – why don’t we ELECT Andrew Carter to replace Lichtig!